“After prudent managerial auditing, we have identified among other things that in the current global technological advancement and changing phases of pension schemes, good quality human resource or the lack of it, is critical to the survival of any pension scheme. “SSNIT Board and management has therefore instituted procedures such as performance management, succession planning, the right technology for our operations among others to ensure that we retain our staff,” Dr John Ofori-Tenkorang SSNIT Director-General stated at the weekend. The SSNIT Director-General assured stakeholders that, the new team is implementing decisive strategies to improve customer service, brand and reputation management, which culminated in the Trust being ranked first in the Public Sector category for Customer Service in the 2018 Ghana Customer Service Index Report released by the Institute of Customer Service Professionals. Dr Ofori-Tenkorang revealed that to ensure that staff operated professionally, new mechanisms for monitoring staff performance including; mystery shopping, was instituted. He said management has also introduced the Pensioners Priority Desk to ensure that pensioners who walked into their offices do not queue before being attended to. 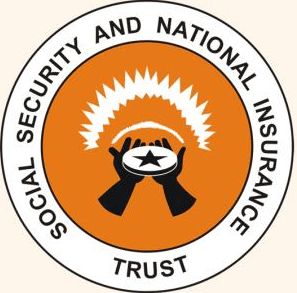 He said management introduced a one-minute daily tip on Social Security and Retirement Planning which broke down SSNIT operations and services into bits which was piloted on some radio stations in Accra. Dr Ofori-Tenkorang said the Trust management team recognized the power of social media, and has taken advantage of new media to reach out to its stakeholders. Dr Ofori-Tenkorang said the Board, Management and Staff have a collective responsibility as managers and as stakeholders to ensure that employers paid contributions for all workers on the right salaries to ensure members receive the appropriate benefits.